Our purpose is to address the pressing need for a massive, worldwide improvement in how we talk to each other. How we listen to each other. How we understand and are understood by each other. To begin this process we’ve written a book, are devising a 63-day programme of change and will soon be producing a series of podcasts. We also offer one-to-one coaching, plus workshops and consultancy for organisations of all kinds. Please get in touch to learn more. The Talking Revolution Podcasts will begin in January 2019. 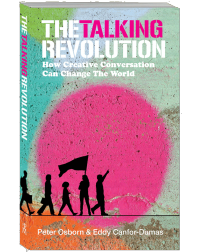 What is the Talking Revolution? Each podcast in this series will focus on a different aspect of the Revolution and suggest how it could improve things. We’ll look at family life, working life, personal relationships, education, conflict and societal challenges to highlight the value of Creative Conversation in all those areas. And we’ll talk to a wide range of people who have interesting things to say about how making stronger and better connections between people can help us through the challenges we all face. So if you have any suggestions or stories for the podcast we’d love to hear them – just drop us a line. 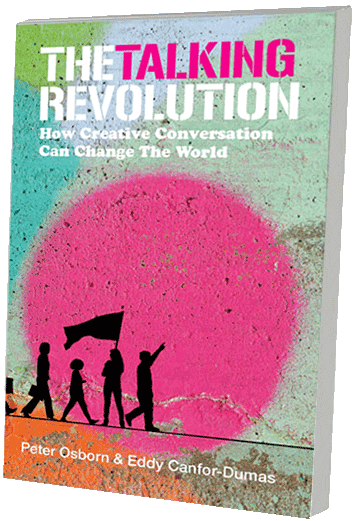 ‘The Talking Revolution’ will be published in January 2019. The book examines our fundamental needs for human connection and communication, the consequences of those needs not being met, and the potential for our everyday interactions to create change for the better. It outlines the nuts and bolts of effective Creative Conversation – the three core principles of Responsibility, Openness and Creativity, and the three practices of Understanding, Being Understood and Challenging – and how to bring these elements together in the right way, at the right time, by listening to your own internal Conversation Manager. Download the ‘Introduction’ chapter using the form opposite. 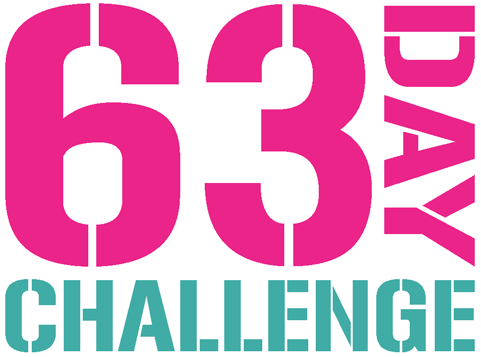 The 63-Day Challenge will launch in Summer 2019. Research suggests it takes nine weeks to firmly establish a habit and this 63-day course is for anyone who seriously wants to learn how to enhance their connection with others, based on the Three Principles and Three Practices of Creative Conversation. Each day, we’ll deliver to your phone or computer a simple challenge based on one aspect of Creative Conversation, to be carried out in your daily life at home, at work, socialising – wherever you find yourself. Little by little, over 63 days, you’ll embed the habit of Creative Conversation in your life – and see the difference it makes. Watch this space for updates on progress towards the launch of this exciting initiative.